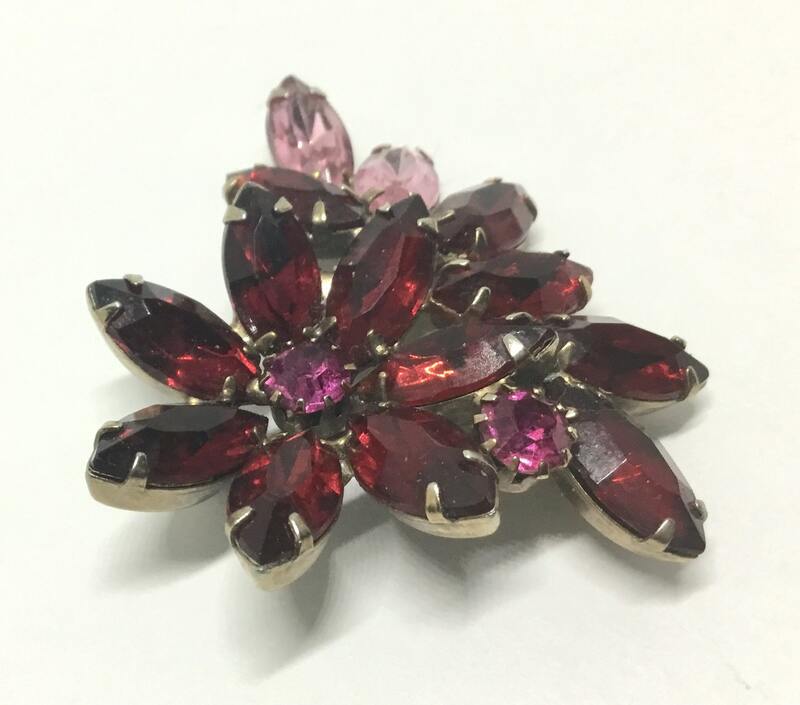 This is darling vintage goldtone rhinestone flower brooch. 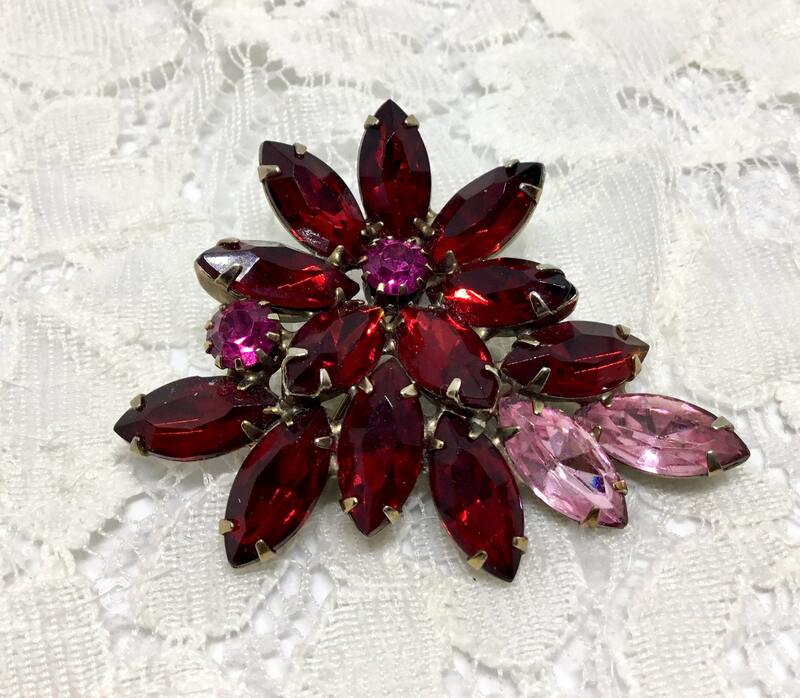 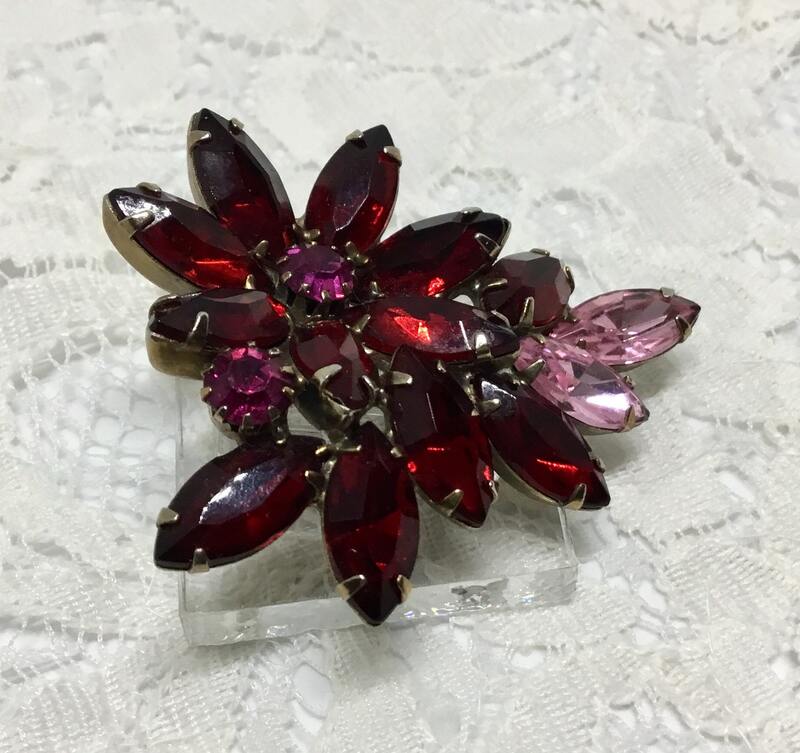 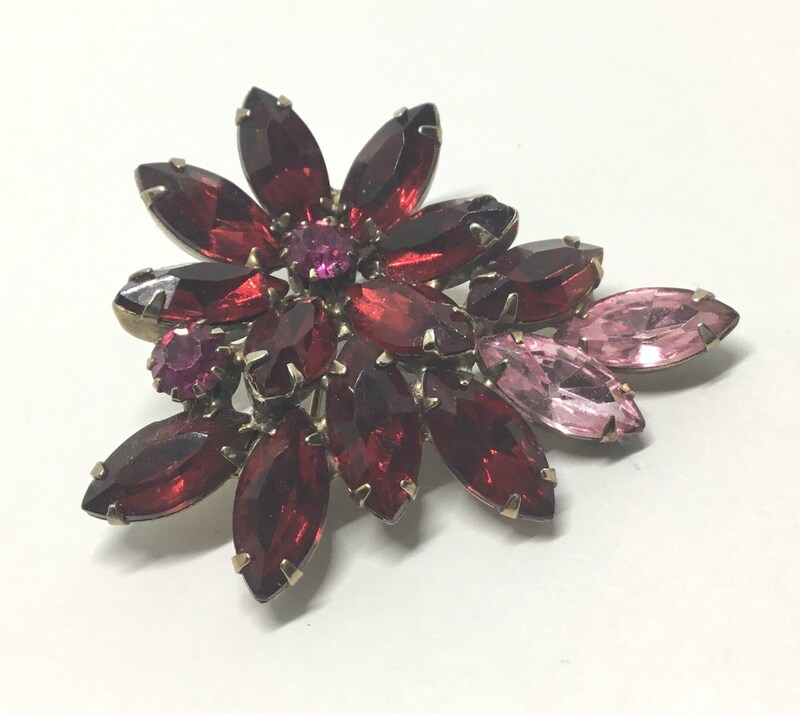 The flower is made up of rich red rhinestone navette rhinestones. 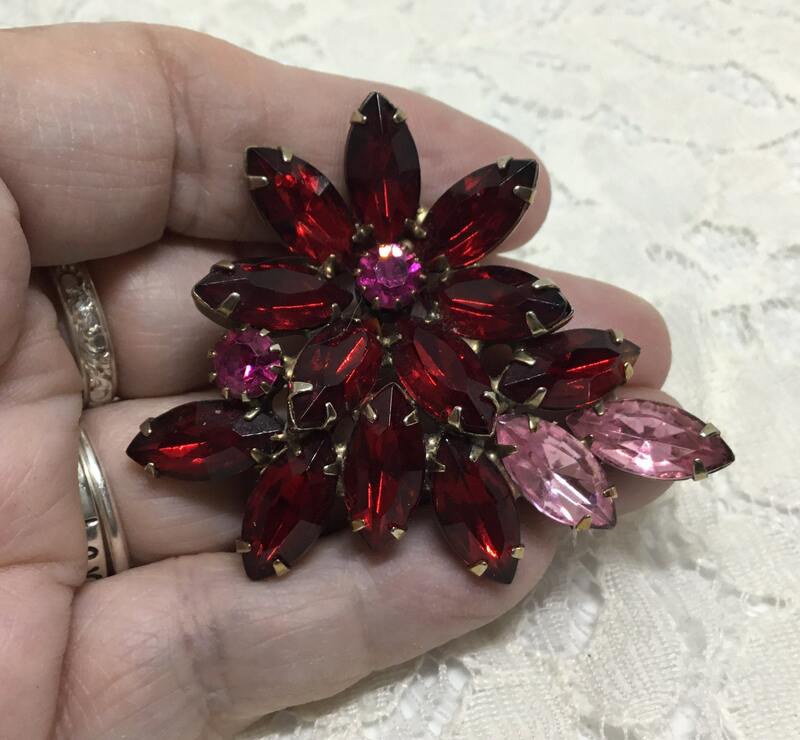 There are also two smaller round fuchsia chatons and two pink navette accent rhinestones. 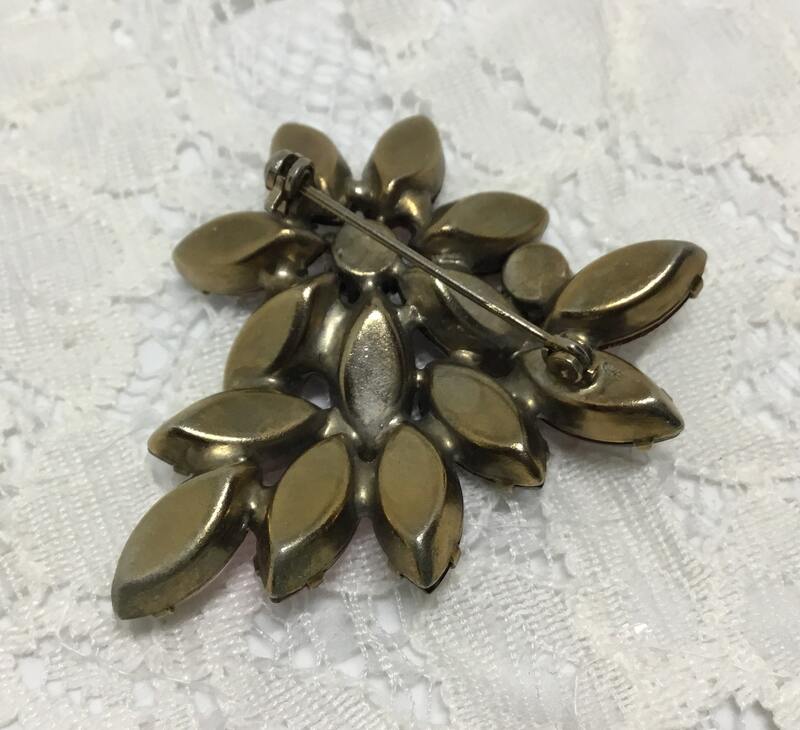 It measures 2” x 1 3/4” and the pinback is straight and works smoothly. 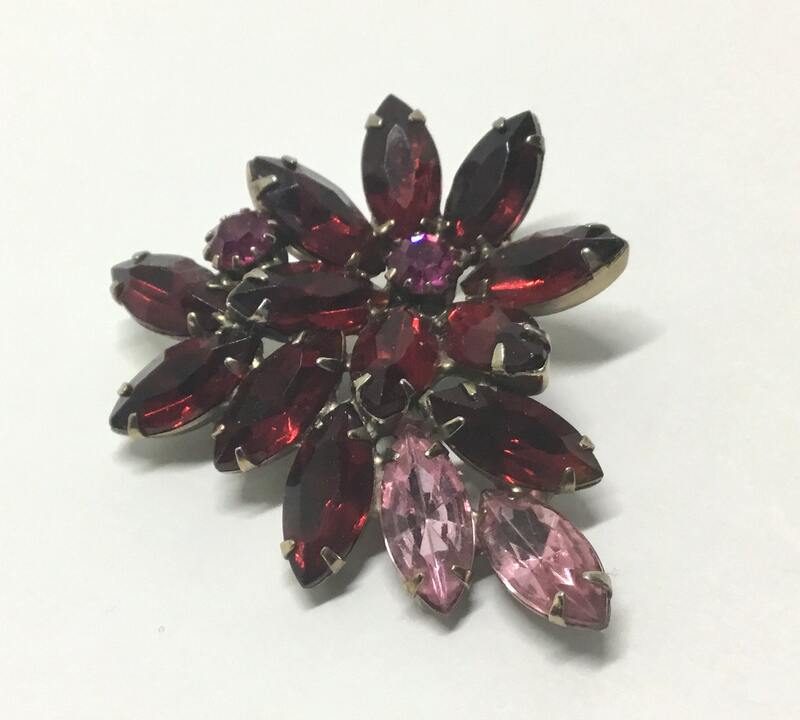 The sparkly rhinestones are faceted, prong set, and in great condition. 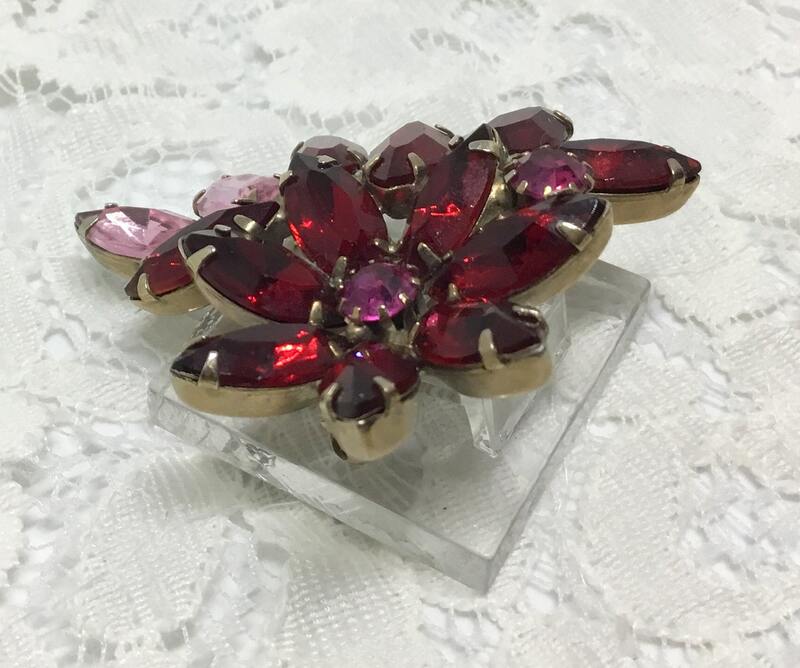 A great vintage brooch to wear on a sweater, denim jacket, or hat. 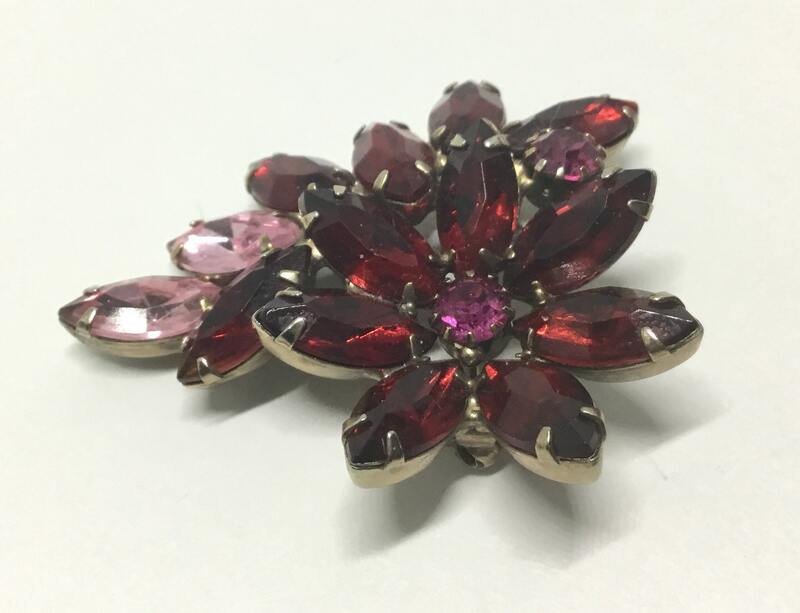 You will look and feel amazing with the rich and wonderful colors sparkling on this floral brooch!